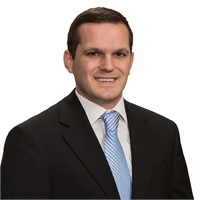 Chad Harris | Inspire Financial Group, Inc.
Chad Harris joined Inspire Financial Group in 2007. As a Financial Representative, he’s given an opportunity to help people change their lives in a positive way every day. His passion is staying current with market trends and always being aware of the best financial products available. His personal promise is to always be truthful with his clients. Chad was a member of the Texas Tech Marketing Association and graduated with honors with a bachelor’s degree in Business from Texas Tech University. Originally from Gunter, TX, Chad enjoys traveling and now lives in Dallas, TX with his wife Megan.